Synopsis: This collection of five short plays is explained best the Writer’s Note. What moved me: Unaccountably, I googled “Oh, the humanity” to find a picture to accompany this post and came across this. 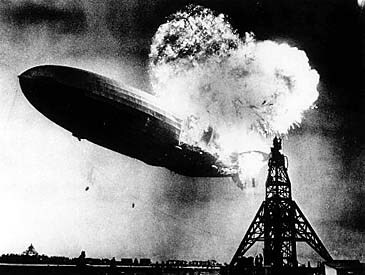 It is a recording of Herbert “Herb” Morrison, an American radio reporter, reporting on the Hindenburg disaster, a catastrophic fire that destroyed the LZ 129 Hindenburg zeppelin on May 6, 1937, killing 36 people. If you go to the link and listen to the recording, if you listen to Morrison unravel as he watches this devastation unfold before him, the framework for this play crashes to earth much like the zeppelin must have. What is joyous, though, is that being aware of this context is totally unnecessary to encounter this play. I find a lot of comfort in this fact – that every time we encounter the world meaning will be made, regardless of whether that meaning was intended.